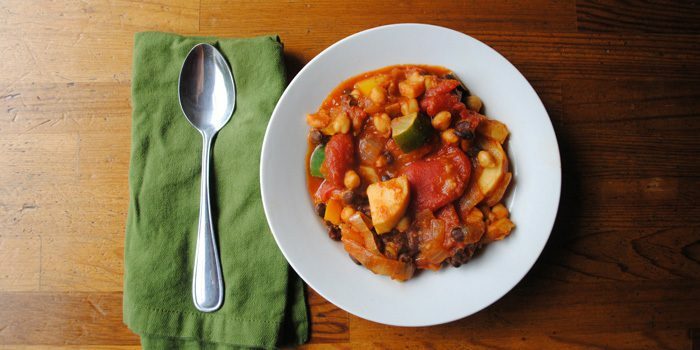 There are so many veggies in this chunky vegetarian chili recipe. 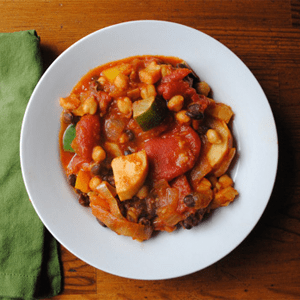 We used black beans and chickpeas, but you can substitute any beans you like. Almost any vegetable will taste good in this chili, so if you have extra kale or spinach in the fridge, or you want to try butternut squash instead of sweet potatoes, go for it! Add sweet potatoes, onion, and bell pepper; cook, stirring frequently, for 4 to 5 minutes, or until onion is translucent. Add chile powder, cumin, tomatoes, chickpeas, beans, and tomato sauce. Stir to combine all ingredients. Bring to a boil. Reduce heat to low; gently boil, stirring occasionally, for 20 minutes. Add zucchini; cook, stirring occasionally, for 6 to 10 minutes, or until zucchini is tender. 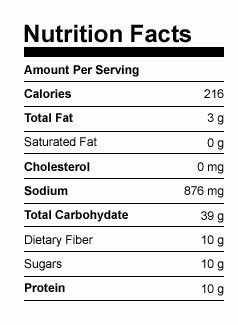 Top each serving with 1 Tbsp. yogurt.